At Florock, we manufacture a variety of specialized industrial concrete floor systems that are impervious to many of the chemicals used in commercial and industrial operations. 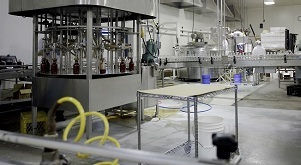 By making it easier to isolate, clean up and contain hazardous substances, these high performance, chemical resistant floorings & coatings help keep your facility, employees, surrounding community and the environment safer. You don’t have to choose between impressive chemical resistance and a beautiful finish. 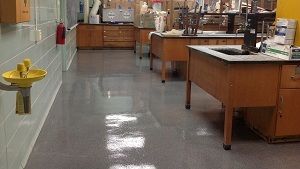 Whether your design is a solid color, a decorative chip blend, a quartz blend or metallic powder floor, or even a finish installed with a custom pattern or company logo, our high tech, safe, and clean flooring and coatings match your decor while providing powerful chemical resistance.